Ranginui's Retreat, Aitutaki accommodation is locally owned and is Tourism Cook Islands Accredited. Ranginuis Retreat Aitutaki accommodation is comprised of ,One 2 bedroom air conditioned(main bedroom) bungalow ,sleeping up to 4 adults or 2 adults and 4 children . There are 7 studio bungalows , sleeping 2 adults and 1 child . Each bungalow offers ensuite bathroom with hot and cold water, overhead fan, kitchenette with fridge ,microwave, cook top, utensils, tea and coffee facilities . All have Verandahs overlooking the lagoon 10 - 20metres from your door. There are 2 double garden units and 2 single garden units , each with own ensuite, small fridge ,kettle, toaster ,Tea and coffee only (no cooking facilities. These Aitutaki accommodation are located on the southern tip of the east side of the main island of Aitutaki on the gateway to the lagoon. 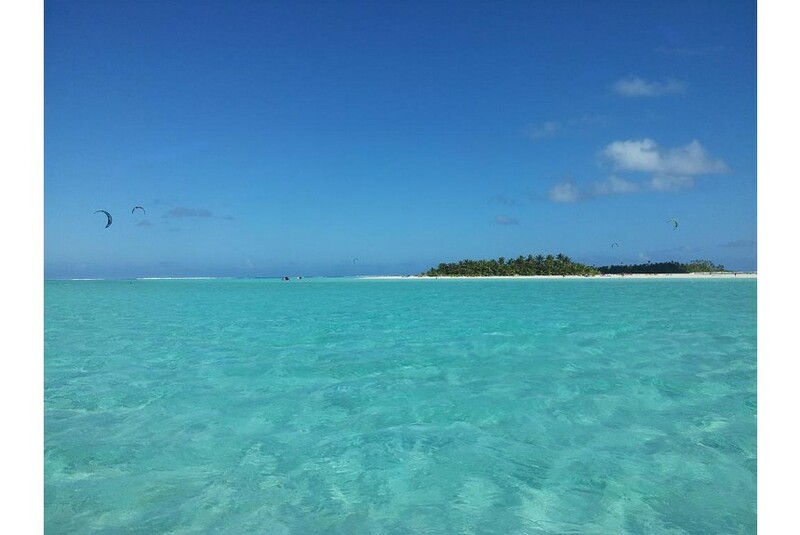 Great swimming, kayaking and snorkelling available from these Aitutaki accommodation.